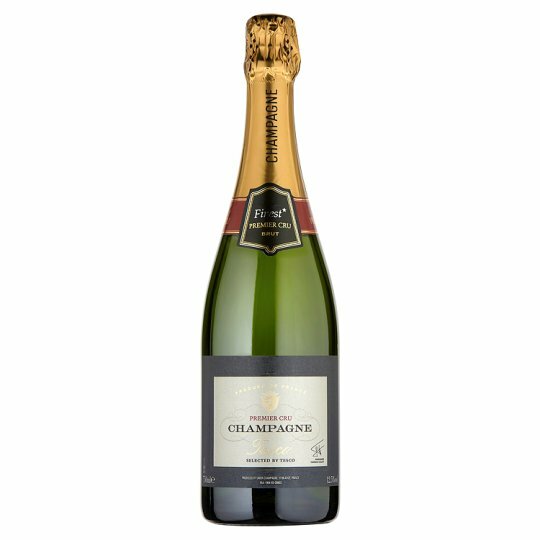 Deal Busters UK are working hard to find you the best Lancashire and National competitions being advertised, good luck and we hope that you win some fantastic prizes!!! 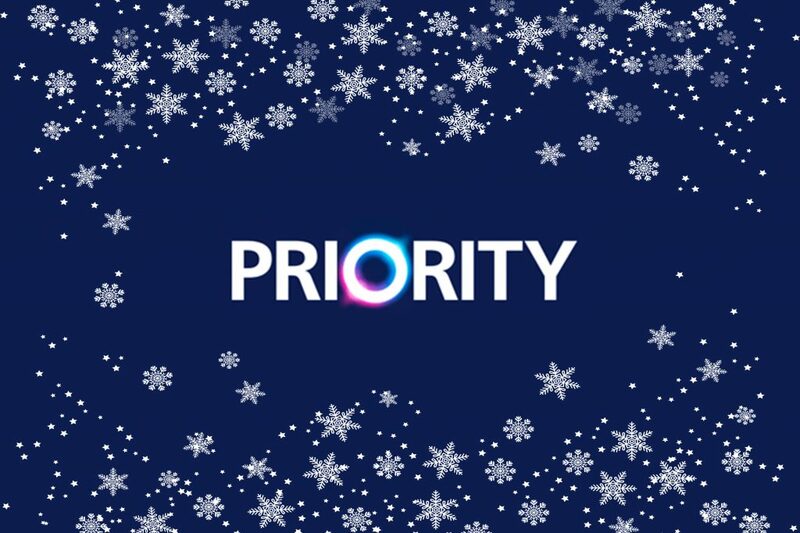 O2 Customers can search some fantastic prize draws at O2 Priority. 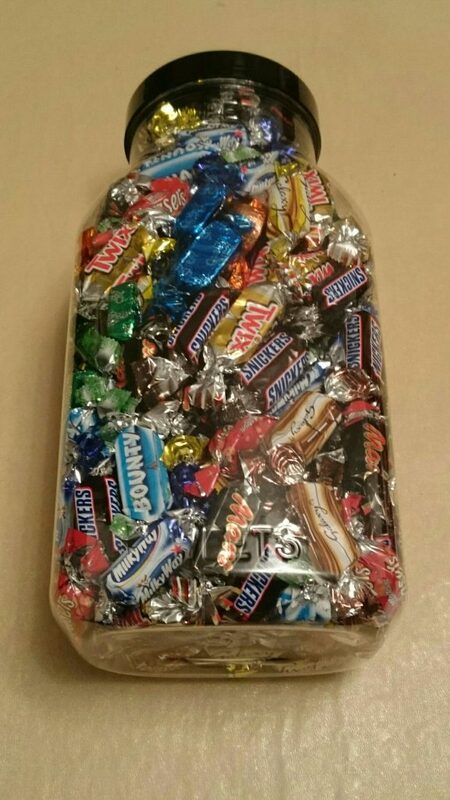 **FACEBOOK COMPETITION TIME** WHO WANTS TO WIN OUR SELECTION OF DANIEL’S DELIGHTS ASSORTED CHOCOLATE BARS??? 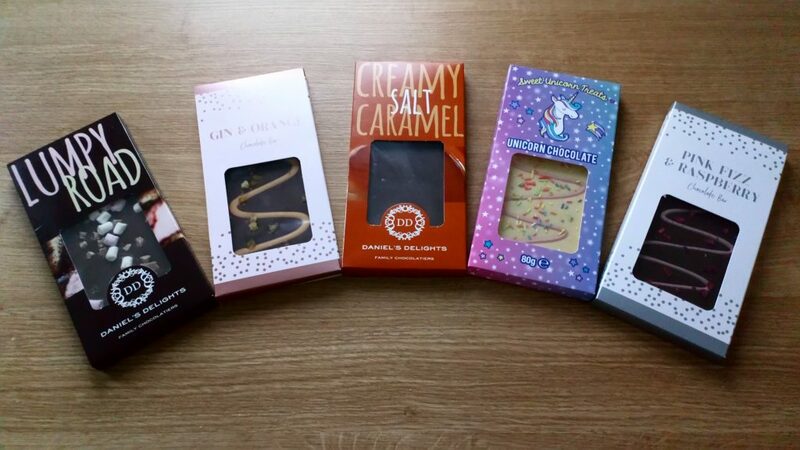 **TWITTER COMPETITION TIME** WHO WANTS TO WIN OUR SELECTION OF DANIEL’S DELIGHTS ASSORTED CHOCOLATE BARS??? 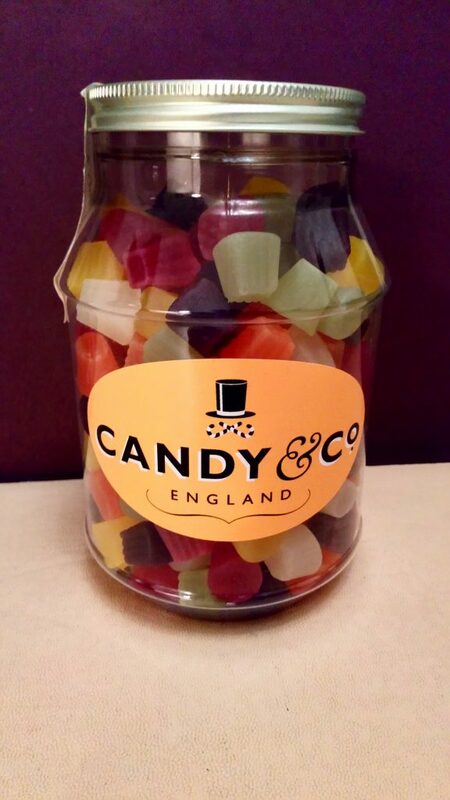 **TWITTER COMPETITION TIME** Who wants to win our plastic jar full of Assorted Chocolates??? 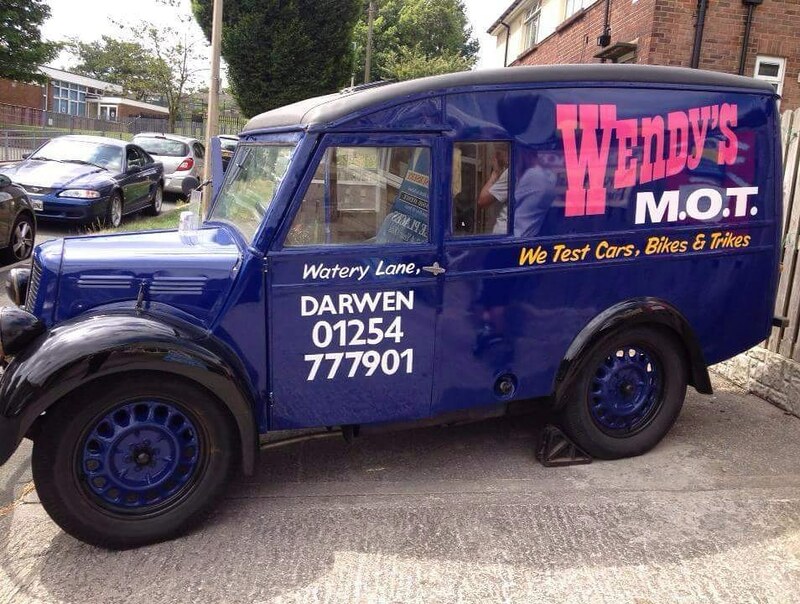 FACEBOOK COMPETITION TIME – Who wants to win a FREE vehicle MOT at Wendy’s MOT Shop in Darwen??? 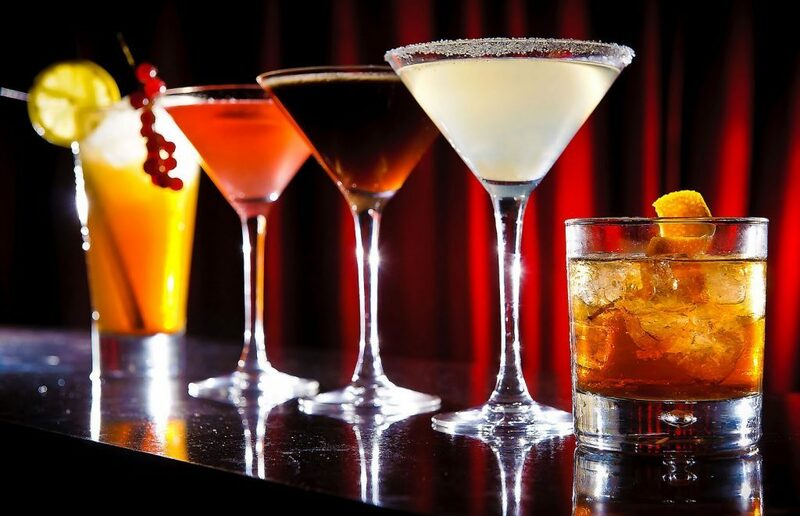 FACEBOOK COMPETITION TIME – Who wants to win cocktails and nibbles for two at Zest Café Lounge in Darwen??? 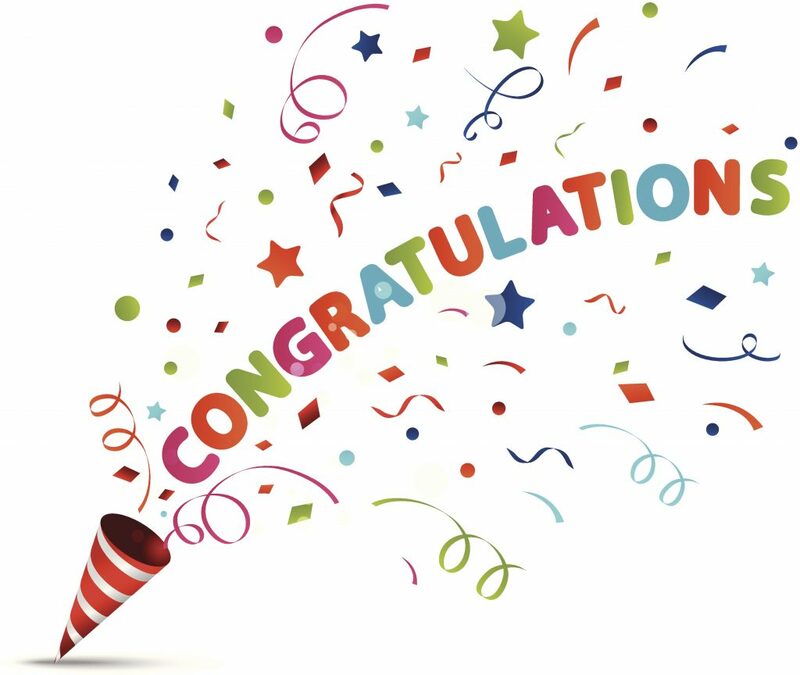 We have a WINNER in our World Cup Facebook Competition, the lucky winner of the celebration hamper is Lyn Tawn!!! 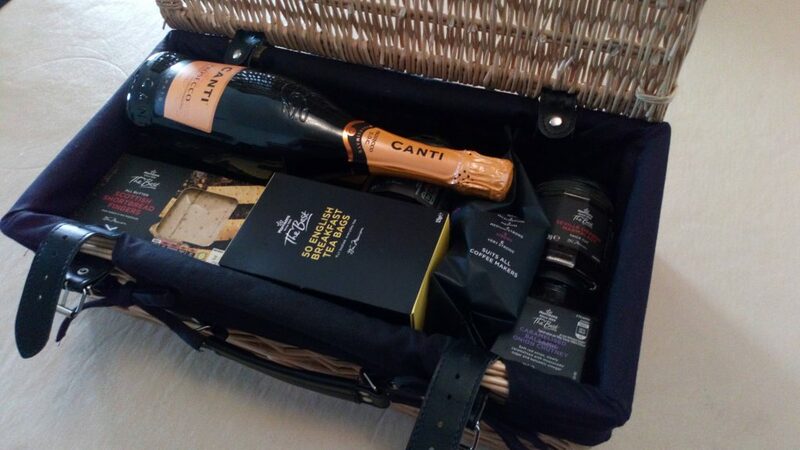 FACEBOOK COMPETITION TIME – WHO WANTS TO WIN A WORLD CUP CELEBRATION HAMPER??? 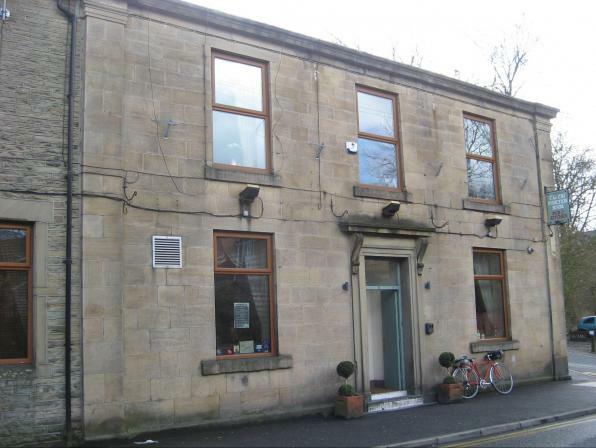 FACEBOOK COMPETITION TIME – WHO WANTS TO WIN A FULL ENGLISH BREAKFAST & TEA/COFFEE FOR FOUR PEOPLE AT THE OLD FUNCTION ROOM IN DARWEN??? 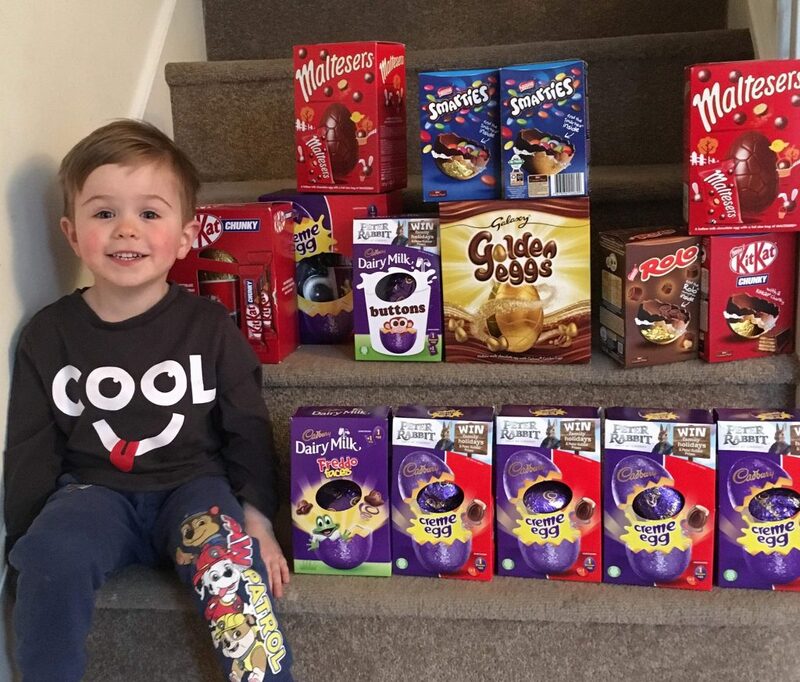 Prize winning photograph received from our latest Easter Egg competition winner!!! 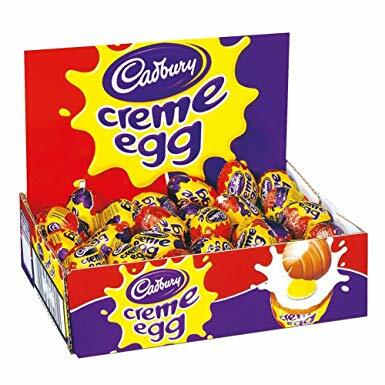 Facebook Easter Competition Time!!! 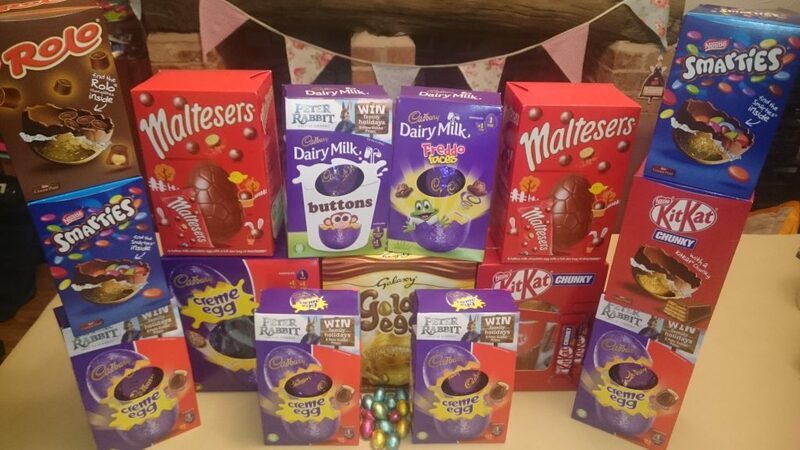 One lucky person will win a choctastic selection of Easter Eggs. Click on our link and guess the number of squares in our picture??? 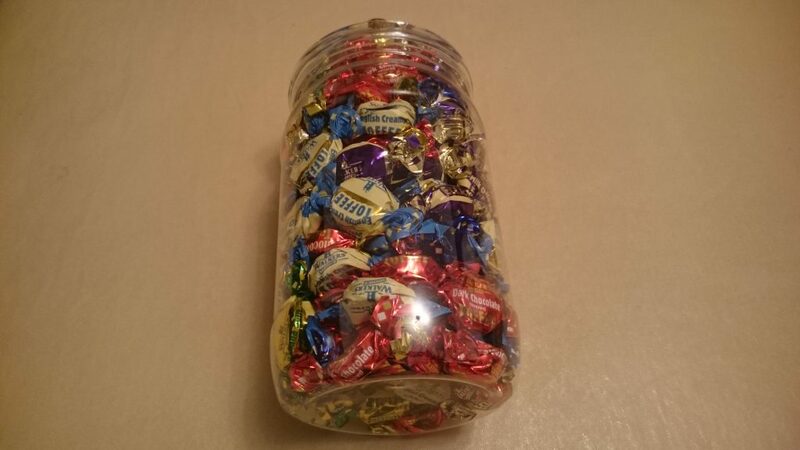 **FACEBOOK COMPETITION TIME** WHO WANTS TO WIN A PLASTIC JAR FULL OF ASSORTED WALKER’S TOFFEES TO SHARE??? 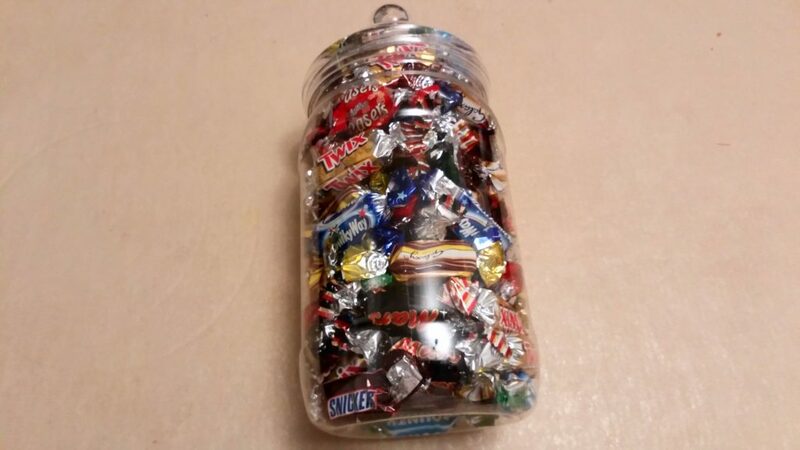 **Competition Time** Who Wants To Win a 4.5lt Plastic Jar full of Assorted Chocolates for Christmas??? 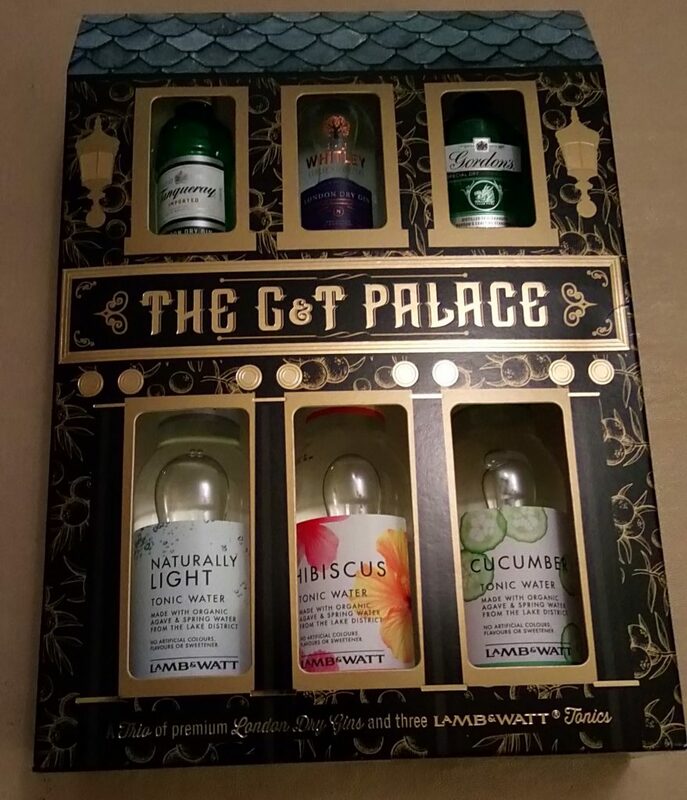 COMPETITION TIME!!! 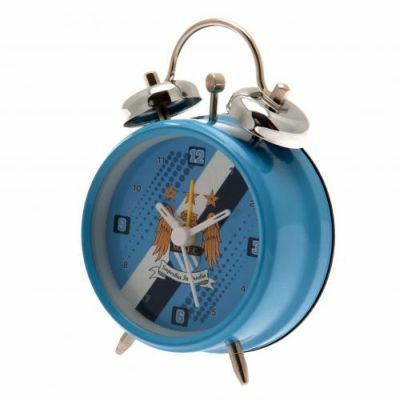 WE ARE GIVING AWAY 3 MANCHESTER CITY MINI ALARM CLOCKS TO THE LUCKY WINNERS!!! 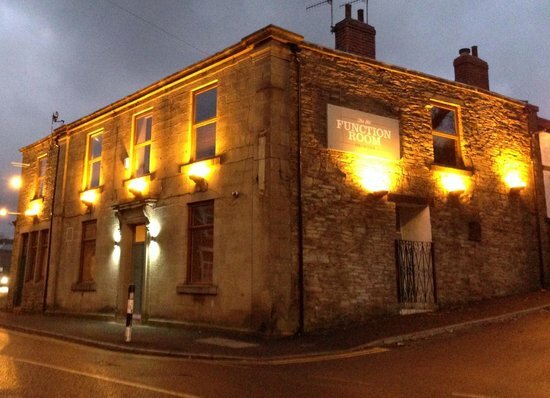 COMPETITION TIME – Who wants to win Sunday Lunch for Two and a bottle of House Wine at The Old Function Room in Darwen??? 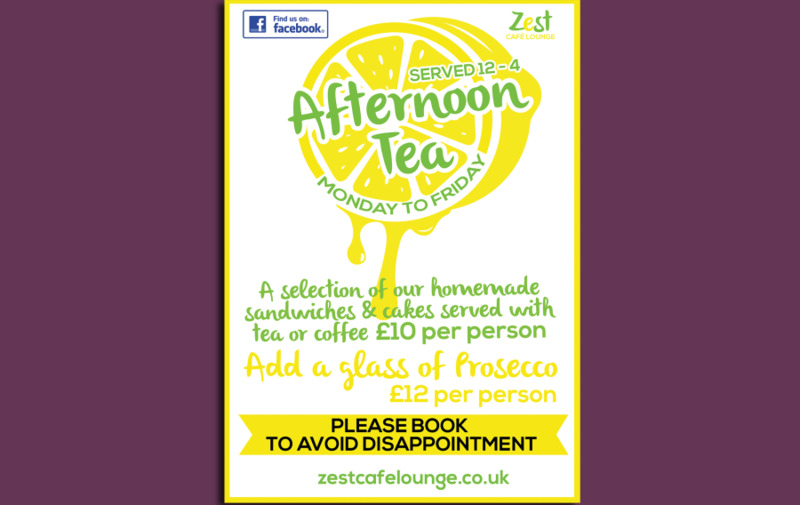 COMPETITION TIME – Who wants to win Afternoon Tea for Two at Zest Café Lounge in Darwen??? 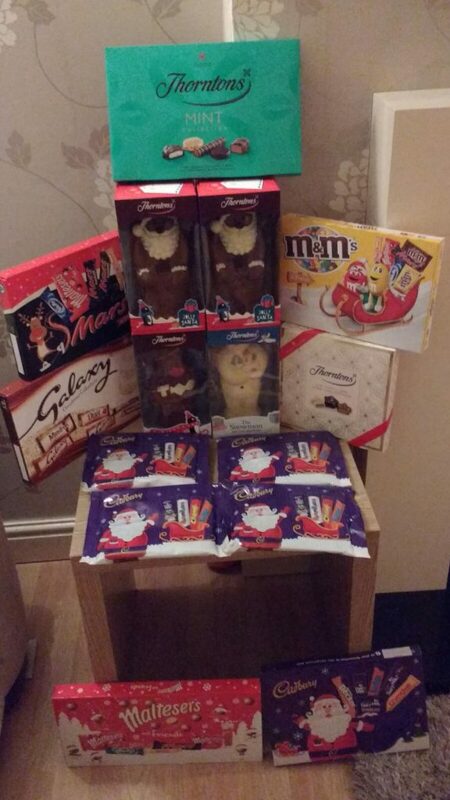 Christmas Competition Time!!! 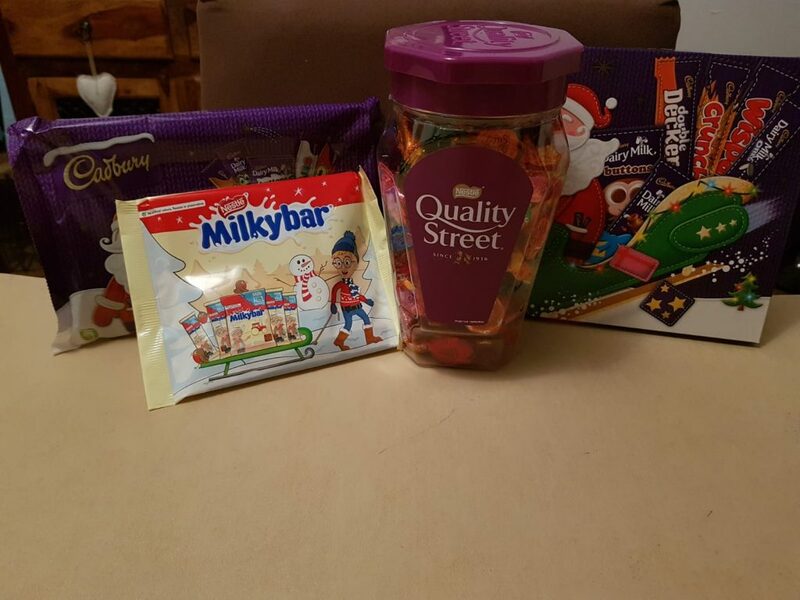 One lucky person will win a choctastic selection of Christmas chocolates. Good luck everyone and Merry Christmas!! !